Cheech Marin Hosts An Evening of Latin Comedy on Sept. 28 at the Soraya. He’s one of the kings of counterculture, with a body of work that features recordings and movies that have become cult classics. One would be hard-pressed to utter lines from Dave’s Not Here, Mexican Americans and Sister Mary Elephant without picturing the man with the bushy mustache and beanie alongside his long-haired, bearded friend with the John Lennon specs. 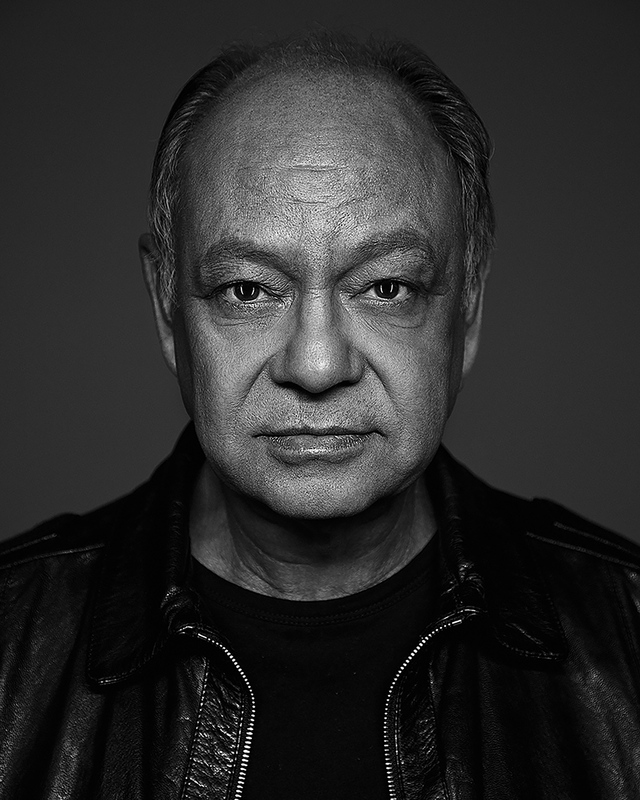 Yet, it is fascinating to see how the career of Richard “Cheech” Marin ’68 (English) has evolved since the days of his hilarious and groundbreaking Cheech and Chong albums and later the series of movies in the 1970s and ’80s that stretched the boundaries of buddy comedies. He’s become a director, writer and art collector, among so many other roles that he plays in his personal life. Marin is also very much a proud Matador, receiving the Distinguished Alumni Award in 2004 to recognize his body of work and connection to his alma mater. And on Sept. 28, he’ll be featured in the third annual CSUN Alumni Performance in Cheech Marin Hosts an Evening of Latin Comedy at the Younes and Soraya Nazarian Center for the Performing Arts. Setting a date for this performance was not easy, with all of Marin’s commitments, as well as his continued performances with Tommy Chong. Playing host for the evening, Marin will bring together several new and established comedic voices during this special event. Marcella Arguello, Francisco Ramos and Frankie Quiñones will take turns showcasing their funny routines before the headliner, Paul Rodriguez, takes the mic to offer his musings on Latino culture. This is one of many times that Marin has worked with Rodriguez, most notably on the 1987 hit movie Born in East LA. “Such a funny guy, Paul is always one of the more perceptive comedians working in the U.S.,” Marin said. When Marin was first approached about being the third alumni performance at The Soraya, he focused on hosting an event featuring a group of Latino comedians. In many ways he’s a forefather for Latino comedians who immediately followed him like Freddie Prinze, George Lopez and Rodriguez, as well as the young guns who are on the lineup and many others cracking up audiences worldwide. The evening is also a reflection on CSUN’s student body, which is more than 46 percent Latino. When he’s not onstage Marin is also a curator for artwork, and has one of the largest collections of Chicano artwork in the world. He’s opened a gallery, and has found it important to expose Latinos to the arts to expand their world view. This is the second time that Marin has performed at The Soraya, as he also graced the main stage in the Great Hall in January 2011. After he saw it for the first time, he said he wished that it would have been there when he was a student. There are still tickets available for Cheech Marin Hosts an Evening of Latin Comedy. There is a special discounted rate for the CSUN community. Visit this web page and insert the promotional code CHEECH for $28 tickets.